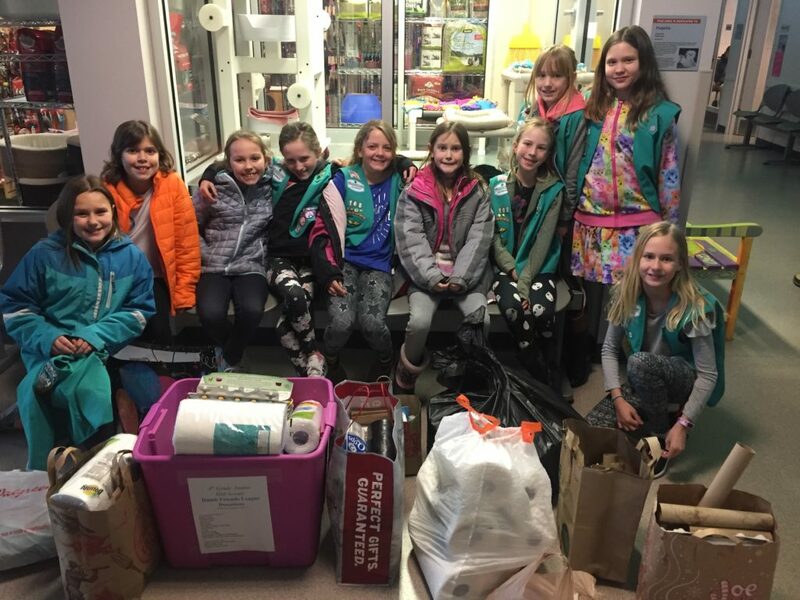 Girl Scout Juniors from Troop 60168 decided to take action to help homeless animals. The troop finished up their Outdoor Journey by visiting the Dumb Friends League in Denver. The fourth graders learned what the current needs for the shelter were and set out to collect donations. They made posters, asking for donations and hung them in Peabody Elementary. Then, they made school announcements requesting donations. They reached out to family, friends, and neighbors for donations. 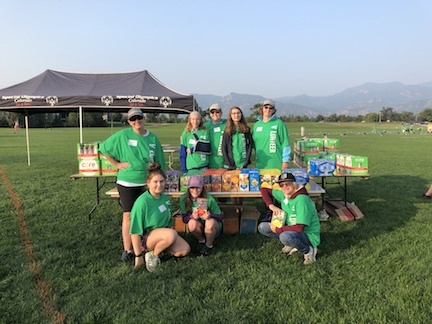 On January 29, 2019, they arrived at Dumb Friends League with bags of paper towels, Q-tips, cotton balls, dish soap, and more! During their tour, they learned Dumb Friends League helps over 22,000 animals every year with most homeless dogs and cats being adopted within two weeks! It was a fun and educational visit for both Girl Scouts and parents. Everyone left grateful knowing homeless animals were being well taken care of at the Dumb Friends League! My project helps provide computers to families in need. My project works directly with Family Promise of Greater Denver. Family Promise of Greater Denver is an organization that is dedicated to serving families experiencing homelessness. I chose to work with Family Promise of Greater Denver to help provide them with computers for high school students enrolled in their program. My project then grew to getting computers for the entire family. I learned about Family Promise of Greater Denver through my church. Our church hosts families four times a year. I volunteer for them by making meals and by providing babysitting when the families are at our church. I have met several homeless teens going to school without a computer. I couldn’t imagine not having a computer for school. This is what has helped me identify the need for my project. In my search for computers, I found another non-profit, Denver Tech for All. Denver Tech for All has agreed to provide the computers to Family Promise of Greater Denver families in need. Currently, more than 100 computers have been distributed since January 2018. I wanted to help Denver Tech for All by hosting a computer equipment collection. This allowed my project to help other individuals that needed a computer that are not part of Family Promise of Greater Denver. One long-term impact for my target audience is learning computer skills that will serve them over their lifetime. Family Promise of Greater Denver shared this success story. Denver Tech for All has agreed to provide computers to five families every week through Family Promise of Greater Denver. These computers are free and the individual can come back to Denver Tech for All for technical support at any time. Additionally, six companies have agreed to provide Denver Tech for All any computer equipment they no longer need. I have shared the success of my project with Family Promise headquarters in New Jersey. There is an article published on their website about this project (https://familypromise.org/category/the-latest/) and it was shared on social media. Additionally, my project success has been shared with over 200 Family Promise affiliates around the United States. I learned I am a hard worker and I really enjoy helping in the community. I learned how to communicate with people and get my point across. At the computer equipment drive, I learned I had great leadership skills. I helped organize the collection of the computer equipment and trained my volunteers. Earning the Gold Award has prepared me not to give up, even if I receive rejection or run into obstacles. During my project, I had times when it became difficult, but I pushed past the obstacles and completed strong. Knowing I can do this will be invaluable in my future. 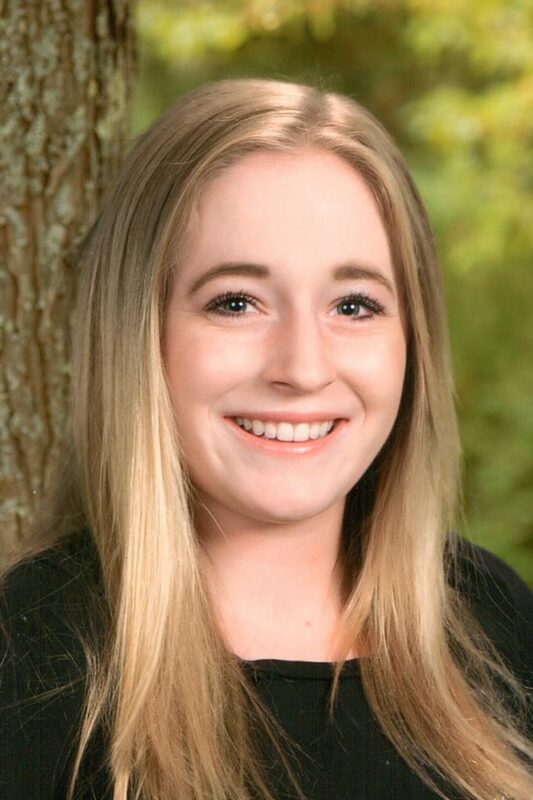 The Gold Award was an important part of my Girl Scout experience because I identified a need in my community and I found a solution. I have my troop to thank. The years leading up to my Gold Award, we did several projects and I learned a lot about completing projects. I was lucky to belong to a great troop full of love, friends, and support. Earning the Gold Award helped me become a go-getter. All of the goals that I set; I have surpassed. I wanted two tons of computer equipment for Denver Tech for All to be donated and so far, they have received 2.5 tons; I wanted all teens enrolled in Family Promise of Greater Denver to receive computers (about 20-30 teens) which they did plus computers have been given to all family members over the age of five enrolled in Family Promise of Greater Denver. I wanted to get five companies to continue donating computer equipment to Denver Tech for All and I have six companies. This past weekend, I got an answer. I want to share a story about a recent service unit campout, and my A-ha! moment with my troop of 8th grade Cadettes. It was a hectic week to begin with – a few weeks into the school year. 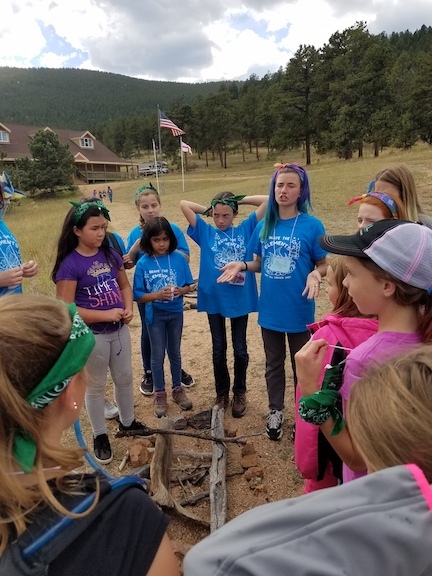 Another leader was planning to take our four Girl Scouts up to Tomahawk Ranch for the service unit campout on Friday night, because I was coming home from a work trip late Friday. 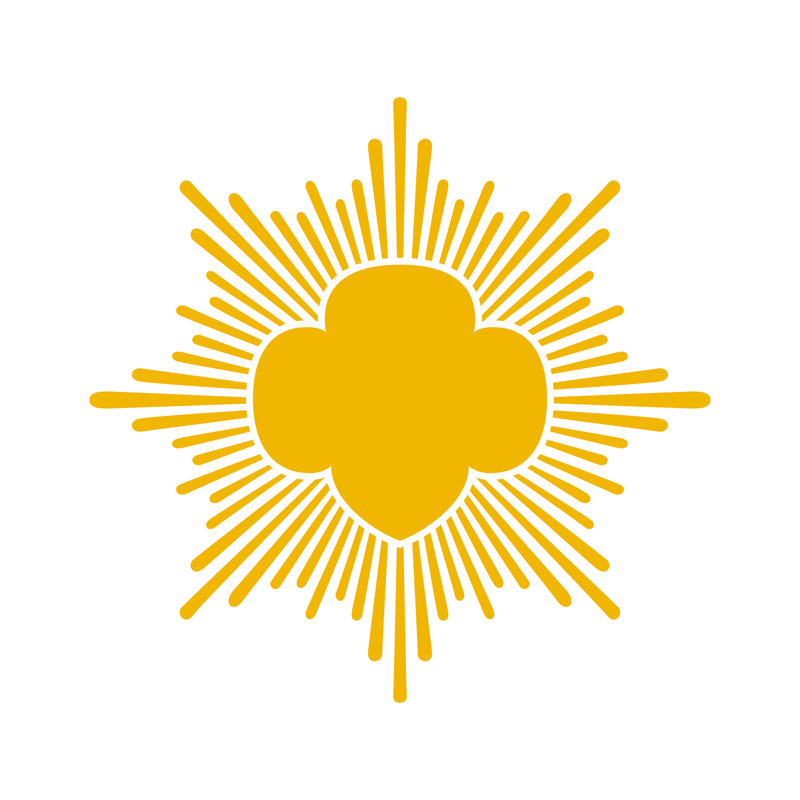 I would come up Saturday morning with the materials our troop was using to do a craft with the younger girls: a quick flashlight using copper tape, craft sticks, and those little lightbulbs- LEDs. On Tuesday, my co-leader reported her car was out of commission, so we scrambled and found another parent who could shuttle the five of them to Tomahawk Ranch on Friday. With that settled on late Tuesday, I got up early on Wednesday and assembled the health and permission forms. I worked, then hurried home and caught my flight to a conference. I arrived home late Friday to learn everyone had gotten off safely to the campout. Relieved, I fell into bed, planning to quickly pack first thing in the morning. I woke and began assembling my sleeping bag and day pack. A quick search of the craft materials sent my heart into adrenaline-fueled thumping – I couldn’t find two of the essential items – the copper tape and the bag of LEDs. I’d had to special order these – I wasn’t going to breeze through the craft store and get more on my way out of town. After a staticky call to my service unit leader up at camp to verify my daughter hadn’t packed these things, I resigned myself to needing to brainstorm a NEW hour-long activity for the younger girls, and began my hour-plus long drive to reach Tomahawk. In the meantime, my co-leader shared the trouble with the Cadettes, and the girls began brainstorming. An hour later, I arrived at camp, found the location of our station, and started talking to my co-leader and girls and a bonus Cadette from another troop. Five rotations later (with a lunch break in the middle) my troop had educated more than 100 other girls on these concepts. Mostly, I had stood back and watched. I occasionally pointed out the time to help them stay on schedule. I didn’t need to design the craft for them. I didn’t need to tell them how to simplify certain concepts or to make it fun. I didn’t have to tell them to split up the leading time and make sure they included our bonus Cadette. They just did it. That was my answer. I needed to say less, suggest less, and listen more. It took a panicked-filled hour-long drive from home to camp to come to terms with it, but there it was. 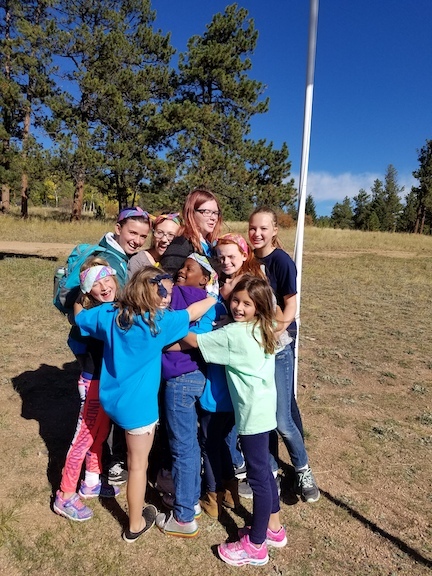 Girl Scouting was working exactly as designed, and my troop was living proof. That evening, when my daughter set up and lit the campfire for the entire service unit, nearly single-handedly*, the younger girls called out encouragement and concern (she had to sit inside the extra-large stone ring to set up and start the fire). 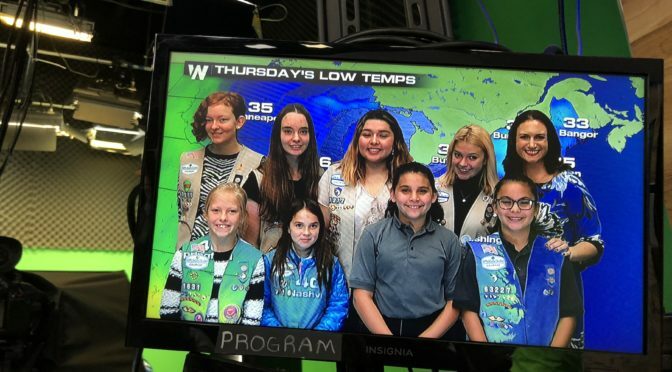 Here, I realized, was the whole Girl Scouting mission in one day: older Girl Scouts drawing upon their knowledge and skills to teach the younger girls, and then showing them that they, not the adults had the ability to do things for themselves. It didn’t hurt that it all ended with roasting marshmallows for s’mores! * This is a whole other story! 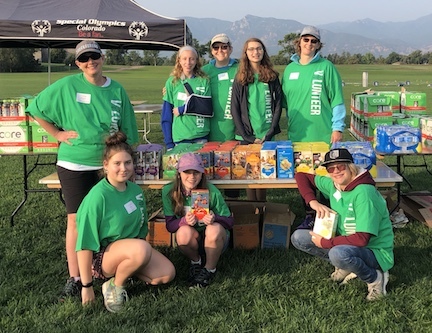 Cadette Troop 64098 from Aurora/Centennial volunteered at the Special Olympics of Colorado’s Summer Classic in Colorado Springs. 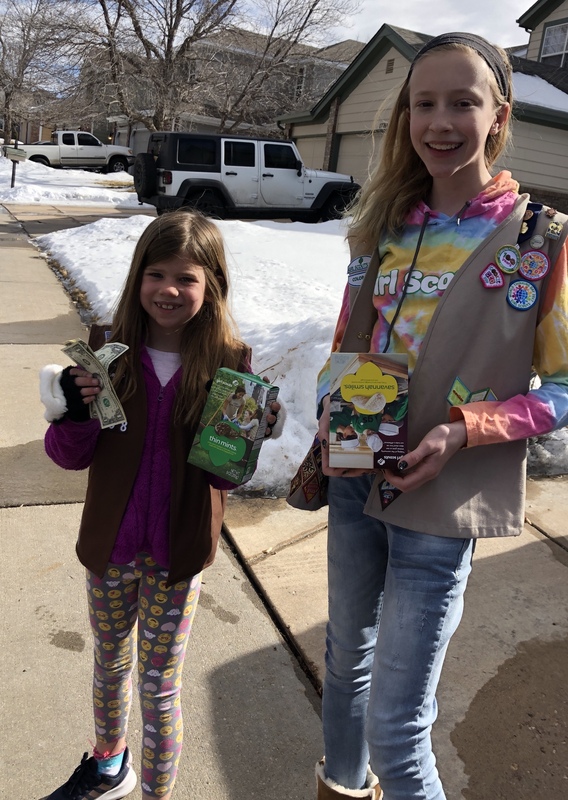 They brought 200 packages of Girl Scout Cookies donated through the Hometown Heroes program. These young ladies assisted at opening and closing ceremonies and events of tennis, bocce ball, and cycling. 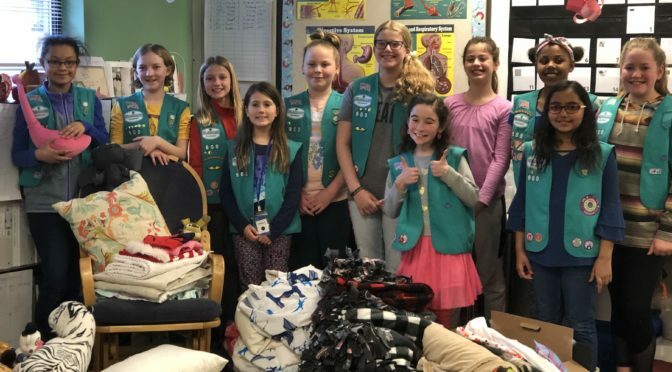 To earn their Silver Award, Girl Scout Cadettes Addison, Adie, and Scarlet of Centennial started an after school running club at their elementary school alma mater, Carl Sandburg Elementary School, in the fall. The program was such a success that they were instrumental in its continuation this spring. The girls even secured a grant for their club through Kids Run the Nation. They are now serving as volunteers in the program they created. Their model can also be easily transferrable to other elementary schools wanting to start a running club for their students. Hello, my name is Angela and I am working on my Gold Award project, “Computers for All.” My project is providing computers to those with few resources. I chose to work with Family Promise to help provide them with computers for the families they work with who are currently homeless or have recently found a home. I learned about Family Promise through my church. Our church hosts families four times a year. I volunteer for them by making meals and by providing babysitting. I have met several homeless teens going to school without a computer. I couldn’t imagine not having a computer for school. This is what has helped me identify the need for my project. Denver Tech for All has agreed to provide the computers to Family Promise families in need. Currently, more than 30 computers have been distributed since January. I am also looking for additional teens in need by reaching out to local schools. Please email highestawards@gscolorado.org if you know others in need. Additionally, I wanted to help Denver Tech for All by obtaining computer equipment for them. 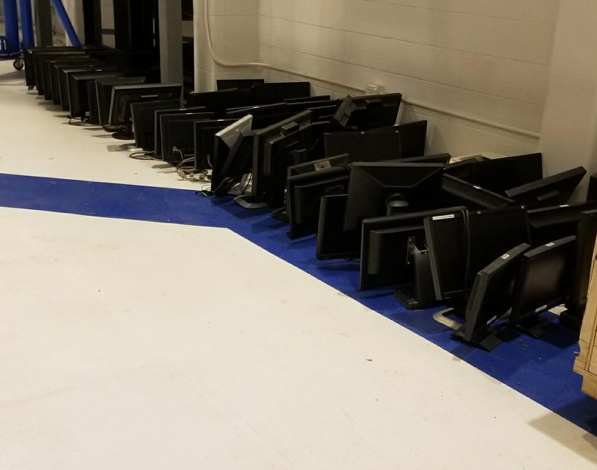 To date, I have found 80+ monitors, 30 desktops, several laptops, keyboards, and mouses. My goal is to collect more than two tons of equipment for them. 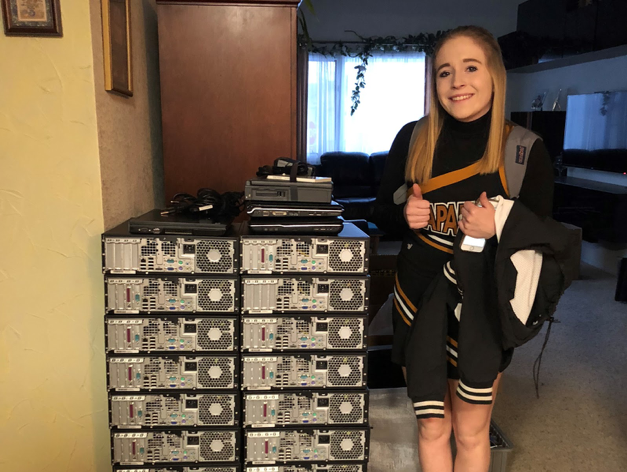 On June 2, 2018 I will be collecting computer equipment at Arapahoe High School for Denver Tech for All. Arapahoe High School is located at 2201 E. Dry Creek Rd Centennial, CO. The drive is between 10 a.m. – noon in the east parking lot. Please consider donating any computer equipment you are no longer using. Even if the equipment doesn’t work, we will accept it. Below is a flyer listing all the computer equipment needed.